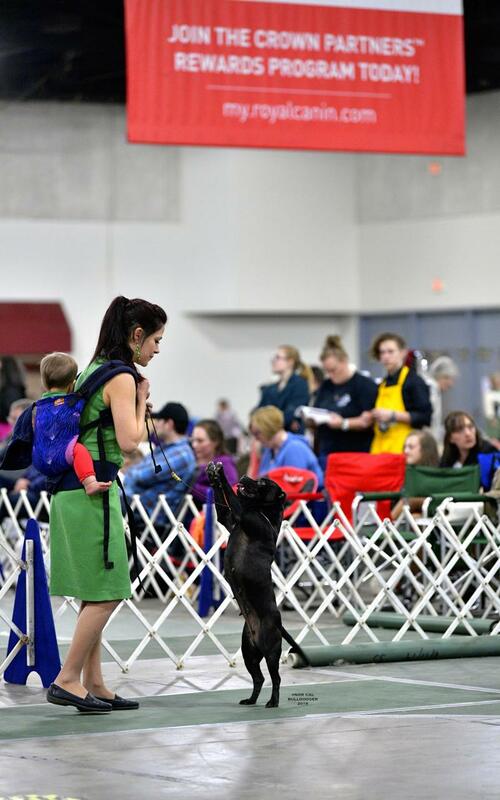 Breeder-Owner-Handlers located just outside of Little Rock, Arkansas. 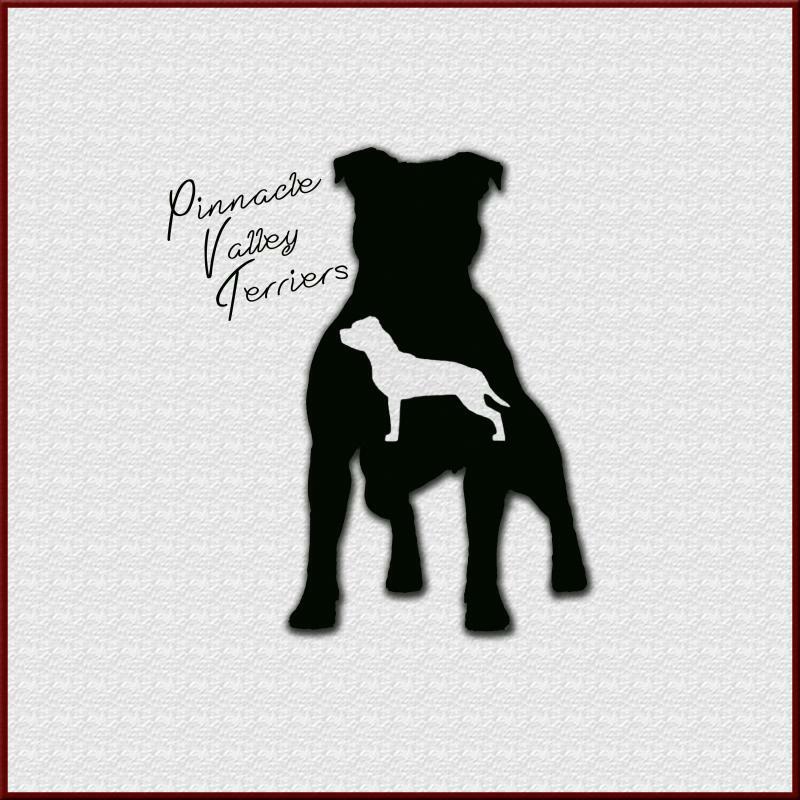 At Pinnacle Valley, we enjoy spending our time hanging with the dogs and competing in events such as AKC Conformation and Agility. 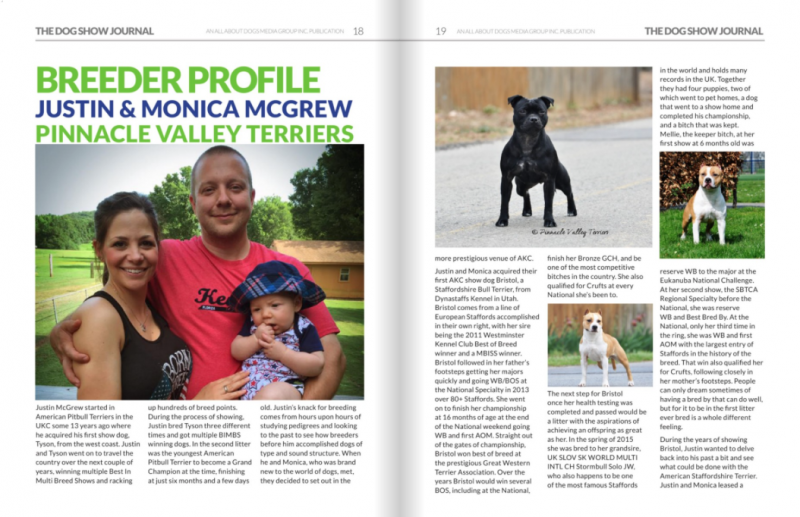 It is our goal to produce and exhibit superb examples of both the Staffordshire Bull Terrier & American Staffordshire Terrier as outlined in each Breed Standard. If we breed, we do so to improve on the health, temperament, type, and structure of the carefully selected dogs. Our dogs are companions and competitors and are fit for a variety of lifestyles, staying true to the all purpose nature of both breeds. Copyright 2013-2018 Pinnacle Valley Terriers. All rights reserved.